Duo Required for my.SMU Starting October 10th. 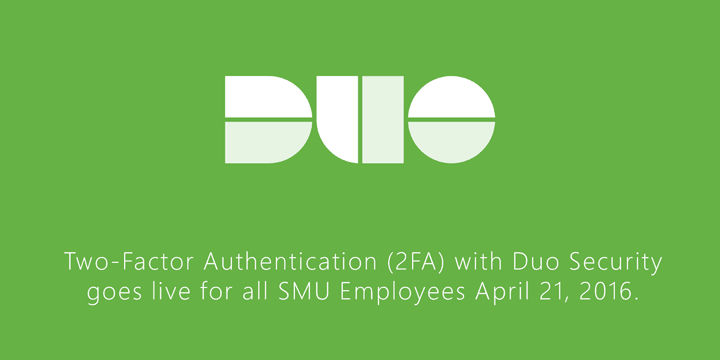 Since April, the University has required Duo two-factor authentication (2FA) for all SMU employees to access the Payroll, time reporting, HR & Benefits areas of my.SMU. Beginning October 10th, Duo will be required to access any part of my.SMU. In an effort to protect our systems, we need all employees to register at least one device with Duo. We encourage you to follow the instructions at smu.edu/duo to enroll in Duo today to continue uninterrupted access to my.SMU. Continue reading Duo Required for my.SMU Starting October 10th. Duo: What’s in it for me? 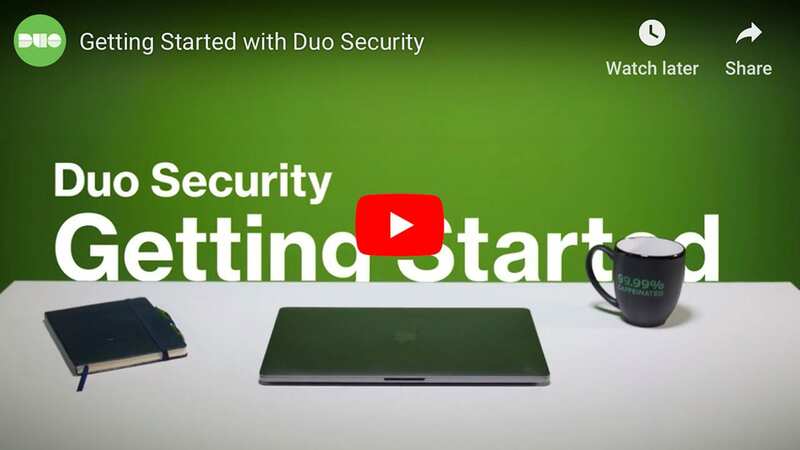 If you haven’t yet enrolled in our new security service, Duo, don’t chalk this blog post up as a friendly reminder but rather an important call to action. Did you know if a hacker compromises your account not only can they get access to critical University information but they can also retrieve personal data such as direct deposit information? The last thing any employee wants is to learn that the paycheck they thought was being deposited in their account ended up somewhere else. Unfortunately, this has happened in the past and you can read about it in last month’s SMU security report. Continue reading Duo: What’s in it for me? Duo Two-Factor Authentication Live Thursday April 21. At 9:30 AM on Thursday, April 21, 2016, OIT will implement two-factor authentication for all SMU employees to certain online services, starting with my.SMU. This rollout includes student workers. The two-factor authentication utilizes a solution from Duo Security called Duo Mobile. Duo two-factor authentication (2FA) adds a second layer of security to online services. Verifying your identity using a second factor (like your phone or another mobile device) helps prevent anyone but you from using your SMU account to log in to a protected service, even if they know your password. In other words, Duo provides assurance that only you can access protected information. The first system to be protected with Duo two-factor authentication is the Payroll, time reporting, HR & Benefits areas of my.SMU. This will provide protection for your direct deposit accounts, bank routing information, tax statements, and other sensitive employee data. Your access to Web Clock will also be protected. Download the Duo Mobile app from your smartphone’s app store. Duo Mobile works with Apple iOS, Google Android, BlackBerry, Palm, Windows Phone 7, Windows Mobile 8.1 and 10, and J2ME/Symbian. Don’t have smartphone, don’t worry. You can also use a landline, tablet, or an SMS. On April 21, use your desktop or laptop computer to log in to my.SMU and access secure information, such as your past paychecks or W2. Follow the on-screen DUO enrollment instructions. We suggest having your smartphone available to scan a QR code with the Duo Mobile app. Add a second device, such as your office phone, to Duo. To find out more about Duo two-factor authentication, including FAQs about Duo and video tutorials, please visit the Duo service page at smu.edu/duo. the IT Help Desk at 214-768-HELP (4357).